Well you can imagine how ecstatic I was to purchase this jacket on Friday at Mrs Stings designer sale. Considering brand new boucle tweed Chanel jackets retail at around £2500 and that I purchased mine for £100, it was the bargain of the century-plus it was nice to know that proceeds of the sale are going to UNICEF, so in effect it was a high end charity purchase!! 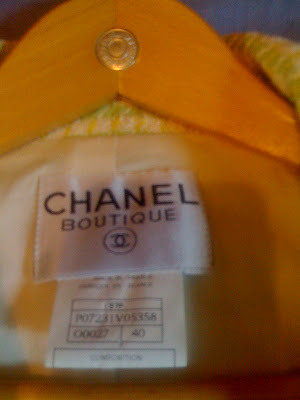 I have never seen a Chanel jacket that close to inspect or try on, so I have been poring over it very studiously. They are made with the finest details, pure wool boucle tweed, silk lining and mother of pearl buttons. The jacket was made in France and according to the date code on the label 97P, I believe this to be from the 1997 Spring collection. The jacket is immaculate and may not have been worn as it is in an 'as new' condition. All Chanel jackets are weighted with a gold chain so they hang properly against your figure. This jacket is not yet vintage, nearly there!!! I will treasure this as its most certain I would not buy one at full retail price and jackets of these nature are like gold dust to buy second hand. Thanks to Red Carpet Fashion Awards for sharing the sale and for WendyB-without her spot we would never have gone there in the first place-it was certainly meant to be, thats for sure!! Looks like the perfect jacket. It makes me think of spring though. 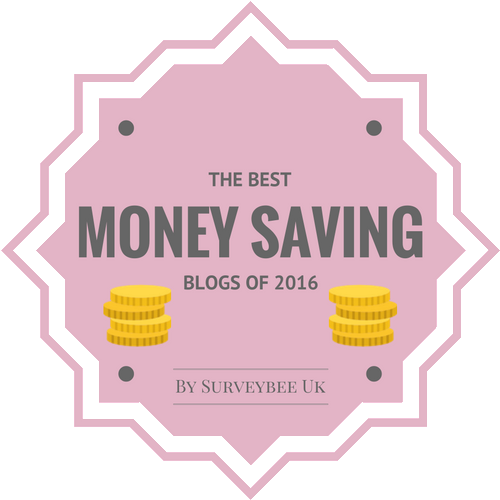 Really, quite a treasure to find. Thanks for showcasing it. I know I'll probably never get that close to that kind of jacket. Thanks Ellie-it is indeed a treasure, one I will keep hold of. 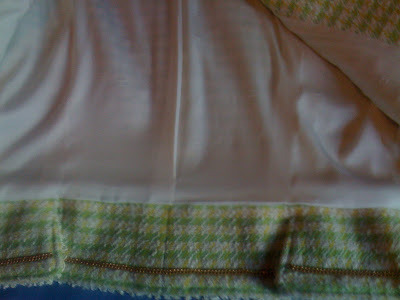 Hi Acielle-I will soon-I hope to pair it up with a white top and jeans!! I've wanted a Chanel jacket for a LONG time :) It looks wonderful! Hi Fabulously Broke-Thanks, I can't believe my good fortune!! amazing jacket! so classic and you can use it in so many different ways. and glad you had such a great day too! gosh! 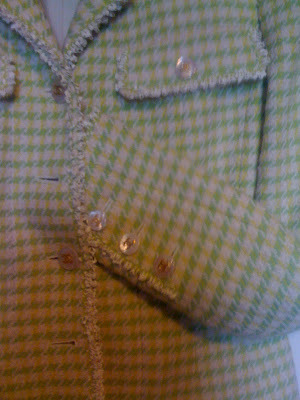 i love tweed . . and this jacket is gorgeous-fab-delightful! enjoy it! Btw, the weather just about held up for me on Friday, It was amazing thank you! Hi mikkle-thanks so much, yes my lovely little treasure-haha! Hi p-thanks and I certainly will enjoy it!! Hi winnie-thanks so much, yes it was!! holy cow! what a great great purchase..
Hi Gloria and wow, thanks so much!! Love the close-up pix of the details! Nice! Thanks. I'm glad its getting good. I know its possibly a bit soap operish, but I grew up on soaps & I have great aunts who use to love to tell me all sorts of stories about my mother's love life. I have no idea if any of them were really true. For all I know they could have gotten it mixed up with something they were watching in the afternoon. 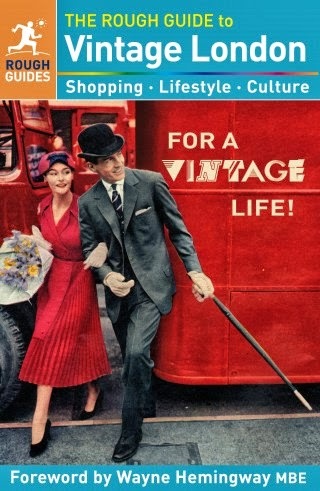 I wish I would be as like as you are; when shopping vintage; I always think of you!! the circumstances in which you got this jacket couldn't be cooler...first it belonged to sting's wife, then it was only $100, proceeds that go to charity and to top it off, you're left with an INCREDIBLE chanel jacket?!? you certainly deserve such luck. i can't wait to see the ways in which you'll incorporate this gem into your wardrobe. so gorgeous, I know you'll love it forever! Hi Wendy-thanks!! We did extremely well with our bargains on Friday!!! Hi Ellie-keep up the good work!! Hi Atelier-hope you score some finds in Paris soon too!! Hi Times of Glory-I'm a lucky girl, haha!! Hi the tiny little girl-oh, I will soon!!Thanks!! Hi cupcakes and cashmere-yes, what a story, haha!! I will wear it soon! Hi nay'chelle-haha, yes nearly there-thanks!! Hi Sharon! wow, i've never seen a Chanel jacket up this close either... i would spend hours and hours examining it too! and it really was a bargain, considering what chanel jackets normally cost!!! from the 90s... in a few years, it'll be vintage! 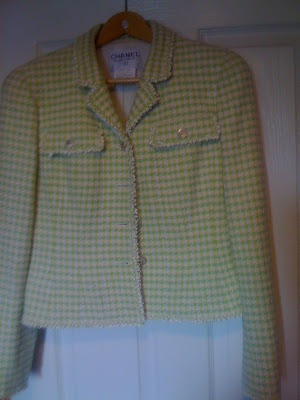 and i also think that a jacket of this shape (not necessarily chanel) is an absolute basic! i'm dying to see some pictures of you in the jacket, can't wait to see what it's like on! wow this is really great sharon! nice haul! :):):) the color is great too, aside from the label.. perfect! Hi cate-thanks so much, I'll definitely wear it soon!! Hi pammish-so kind, thanks a lot!! I want a chanel jacket too!!!!! I am so so jealous right now. Hi fashion chalet-thanks, I hope your mum manages to get one-she will adore it!! Hope you had a good weekend too!! Hi yiqin-thanks so much-maybe you will have a Chanel jacket one day!! Oh what a find - I envy you! Hey, what an amazing bargain, well done!! Oh and interesting thing about chanel jackets being weighted with gold chains, i never knew that. Hi fashionchalet-yes, we had the best day ever-I was lucky to meet up with two very gorgeous bloggers!! You never know about meeting up-it could happen one day!! Hi nadine-thanks so much-I'm very lucky!! Hi fashion obsessed-thanks so much, yes, I never knew about the chain until I saw it in the jacket!! what joy seeing that up close, and it belongs to you, wow, perfect! Thanks for the comment. Very much appreciate it. Hope your week is off to a good start. Oh good for you!!! The jacket looks so beautiful! Hi couture carrie-thanks so much, I need to start wearing them now-haha!! Yes the cross is really nice-its a multicoloured enamel mosaic design from a shop just outside the Cistene Chapel in Rome. 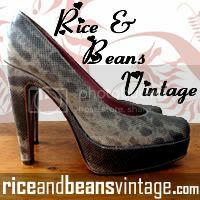 Hi rice and beans vintage clothing-thanks a lot!! Hi fashion herald-thanks so much, I'm a lucky girl-haha!! Hi ellie-you're always welcome and you have a great week too!! Hi danz-thanks my dear, you have a great week too!! Hi Sharon, love your Chanel. Its a fabolous find for so many reasons! A true classic that will stand the test of time and be a jewel in your closet. So funny about how you got it. Its what I love most about vintage clothing, they all have a story. And it is usually a fabolous one. Great deal, lovely! Cant wait to see you were it. Hi Silje-thanks so much for your lovely comment-you are right, it was a totally unexpected find and the day I got it was a story in itself too! I certainly will treasure it, plus I will wear it soon!! Hi atelier-Thanks, I was extremely lucky on this find-thanks to WendyB and RCFA!! Well, our paths may well meet in future!! ooh - chanel! great score! Hi shopaholic d-thanks so much and for stopping by too! wow. lucky you! that jacket looks perfect! Congrats on the great buy! Hi girl@boroughvintage-so kind, thanks a lot!! Hi dana-thats lovely, thank you!! Timeless and gorgeous! Oh my, it's perfect, beautiful purchase, Sharon. A boucle tweed is in my dreamlist from years. Hi alice-thanks so much, I'm so lucky to have got this, I will be treasuring it forever!! Chanel never goes out of style. PERFECT! !